Hey! Listen! 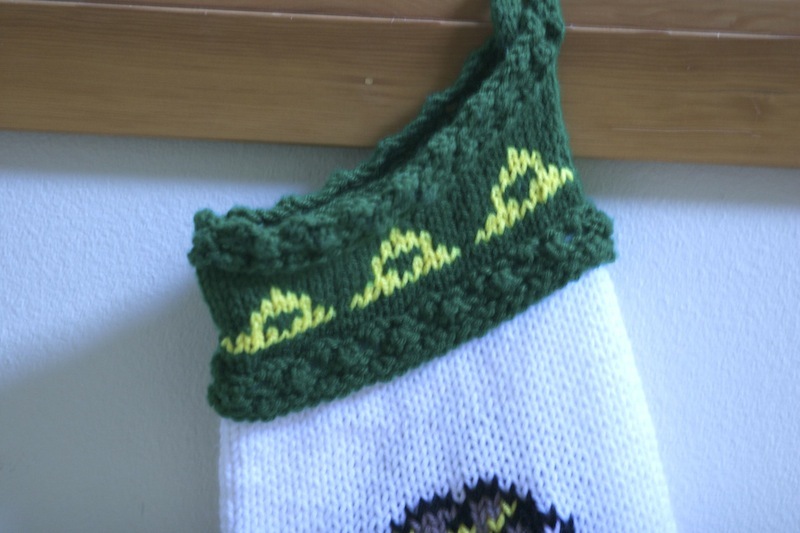 its only 7 days into the month of February and I’ve gotten my stocking done! I started this one with the desire to have a slightly nicer cuff. So there are bobbles and Triforces. How fitting that the Triforce is encircled in a stitch called the Trinity Stitch!